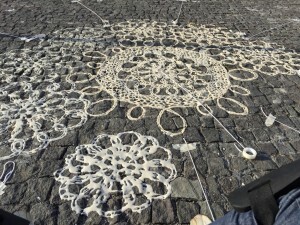 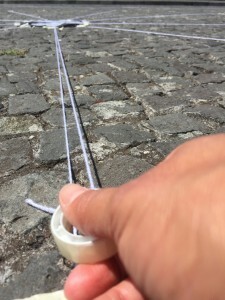 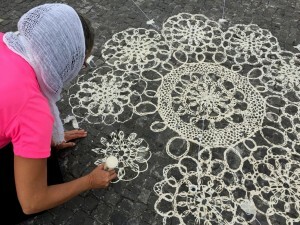 Laced Cobblestone (“Calçada á Renda” in Portuguese), made of flour and water, was created for the International Azores Fringe Festival on the island of Pico, Azores. It brings women’s crochet work into public view, as these artisanal works tend to be less visible in their private domestic settings. 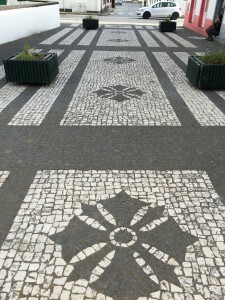 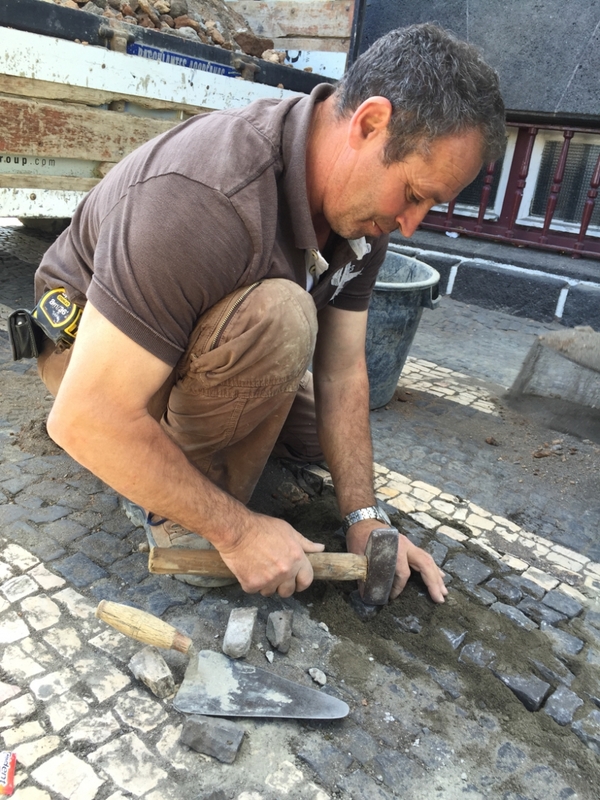 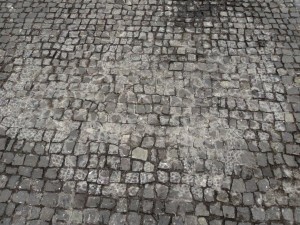 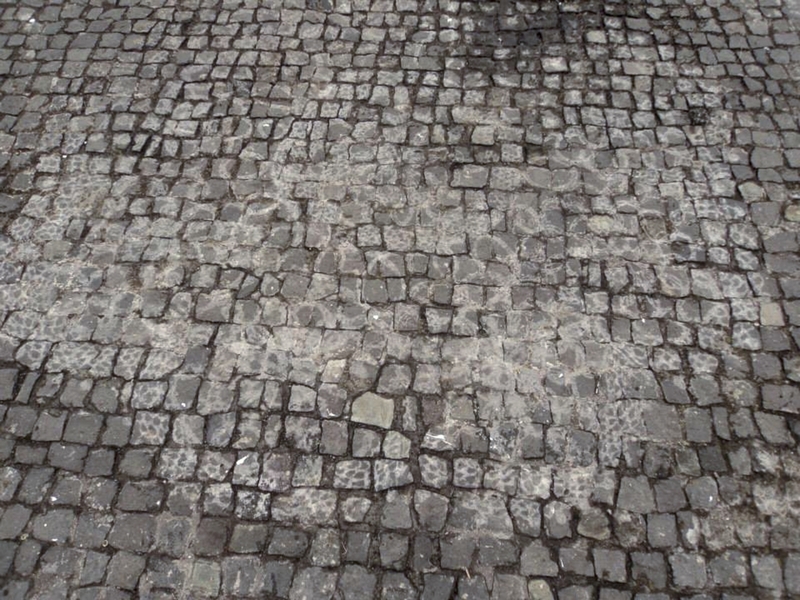 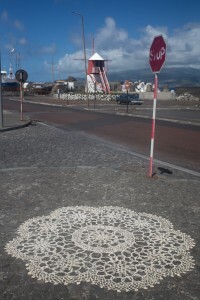 This work resembles the patterned cobblestones (Calçadas) that the men install throughout the Azores and continental Portugal. The result was a merging of the women’s and men’s labour in public form. 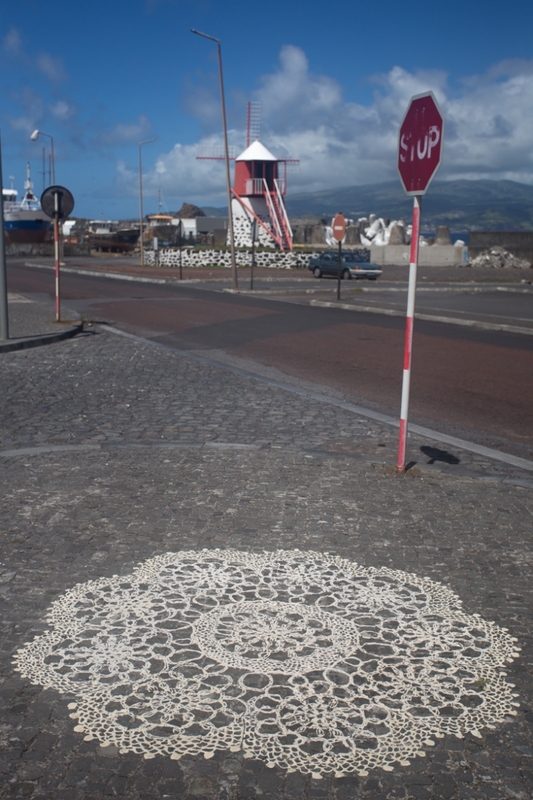 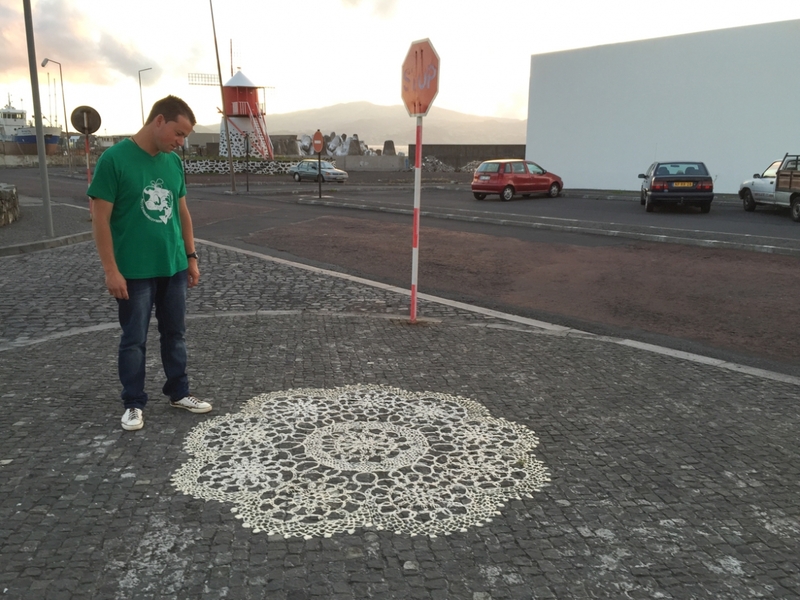 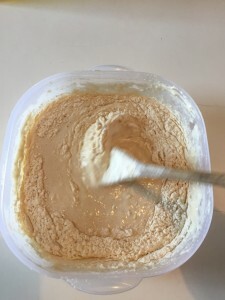 Flour was used to represent the hard labour of the Azorean peoples in “putting bread on the table.” The crochet design for Laced Cobblestone is based on one of Zélia Almeida’s works, who lives on the island of Flores, Azores. 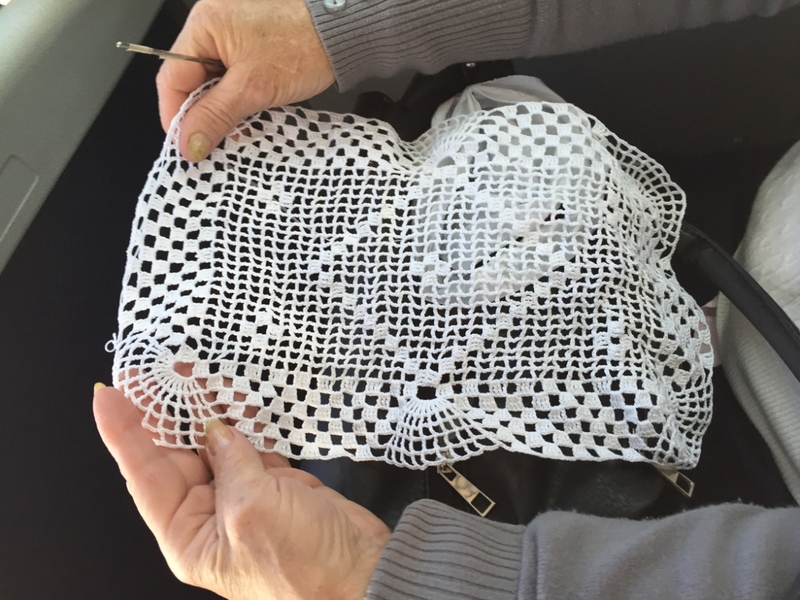 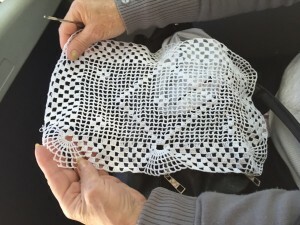 The images below depict the laborious process of creating the lacework, its inspirations such as a woman making crochet and a man working on cobblestones, and a historical flour windmill in the distance. 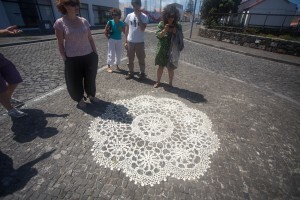 The artwork was installed at a 3-point stop, where people appreciated the work from their vehicle or by foot. 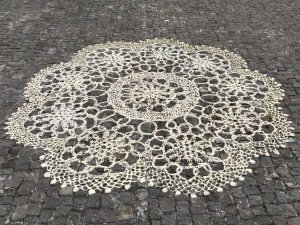 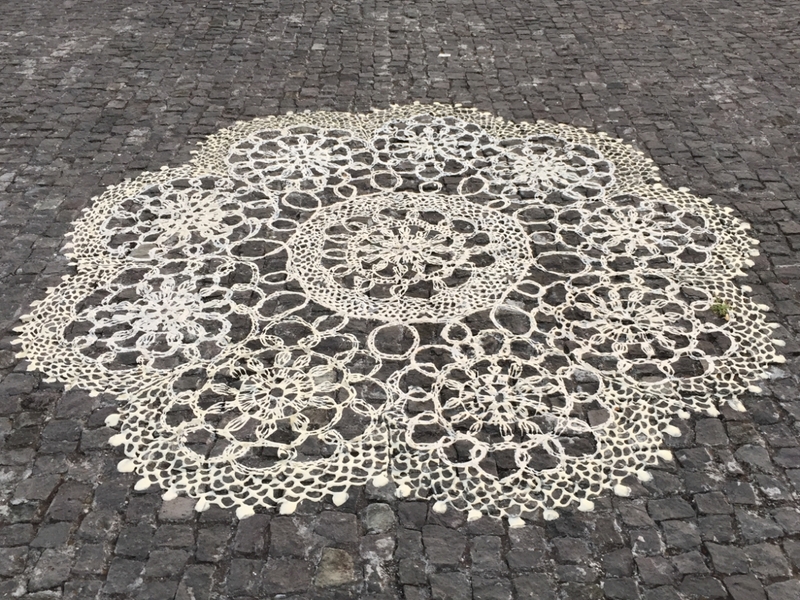 Laced Cobblestone is made of impermanent materials to draw attention to the fragility of actual laceworks and the invisibility of women’s domestic work.